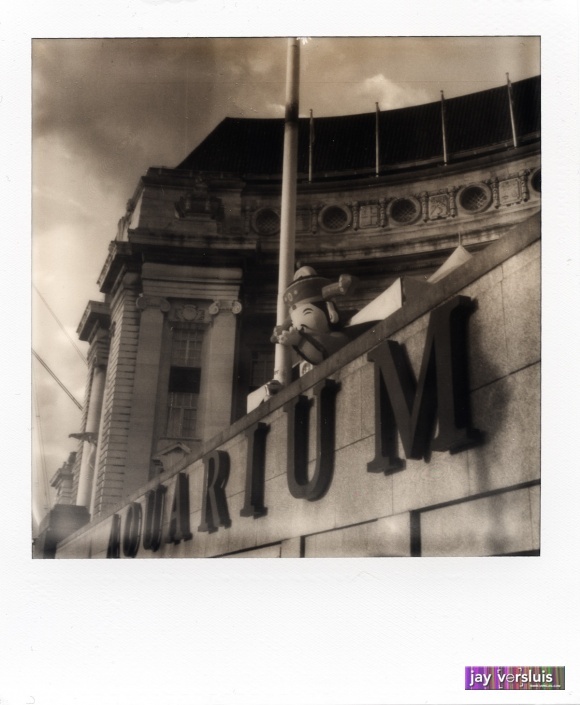 It was late afternoon at the London Aquarium, and for some reason they had put up a blow-up Chinaman. Intrigueing! Andy said to me, “This could well be 1947 if it wasn’t for the Chinese blow-up doll”. Very true indeed! 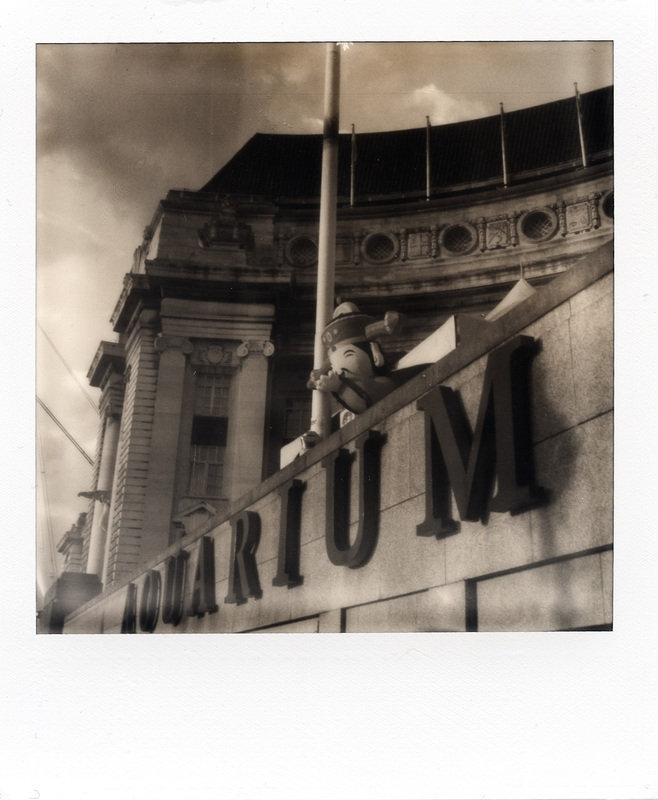 The grey frame of the PX 600 is subtle, yet I find it brings out the contrasts of the picture out a bit nicer than the bright white frame.